Twisters have claimed 26 lives in recent days. 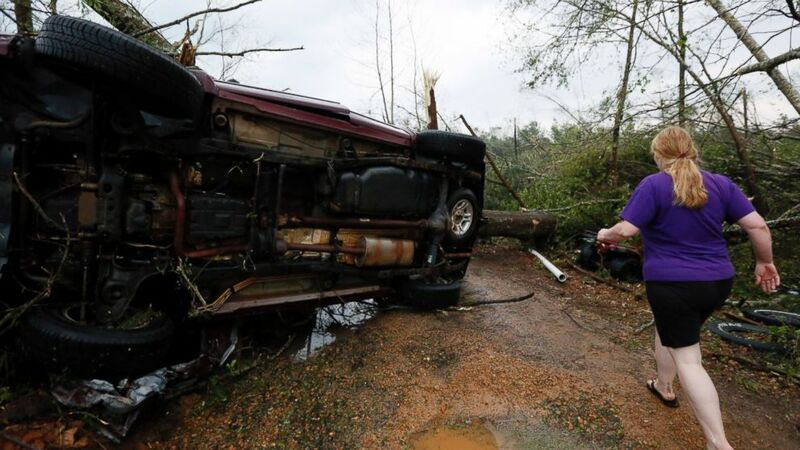 Tornadoes barreled through Alabama and Mississippi on Monday, part of an ongoing storm system that has claimed dozens of lives. Frantic, chilling moments showcase the impact of the twisters. The sky darkened. Rain pounded down. Lighting crashed overhead, visual clues to the approaching storm. People found places to hide. Closets. Basements. Storm cellars. Bathrooms. Some residents watched in awe as Mother Nature imposed her fury. 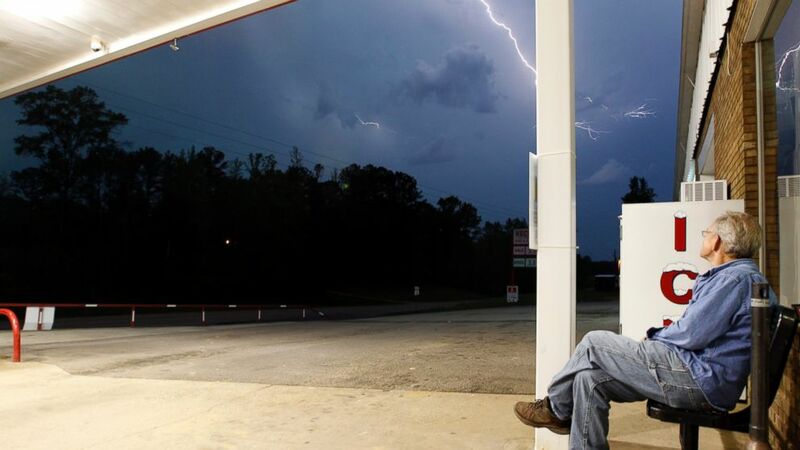 (Butch Dill/AP Photo) Jimmy Sullinger sits and watches lightning as a storm approaches the gas station where he works, April 28, 2014, in Berry, Ala. In Louisville, Miss., a tornado churned through forests and across highways as storm-chasers captured the twister's power. One of the tornadoes tore through Tupelo, Miss., leaving twisted metal and wreckage where homes and businesses once stood. The community – which contains 35,000 residents – was littered with damage following the tornado. 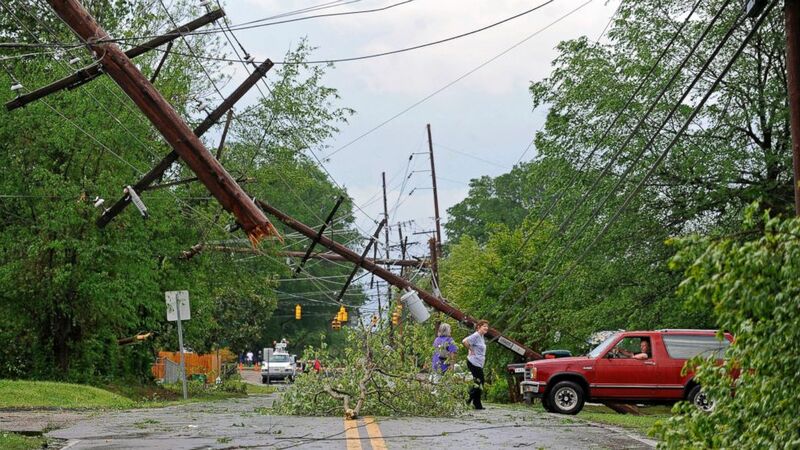 Power lines were bent and snapped, knocking out power to thousands of residents. (Thomas Graning/The Daily Mississippian/AP Photo) Residents survey damage along a street in Tupelo, Miss., April 28, 2014. A nursing home in Louisville was heavily damaged. The residents were transported to a secure location. 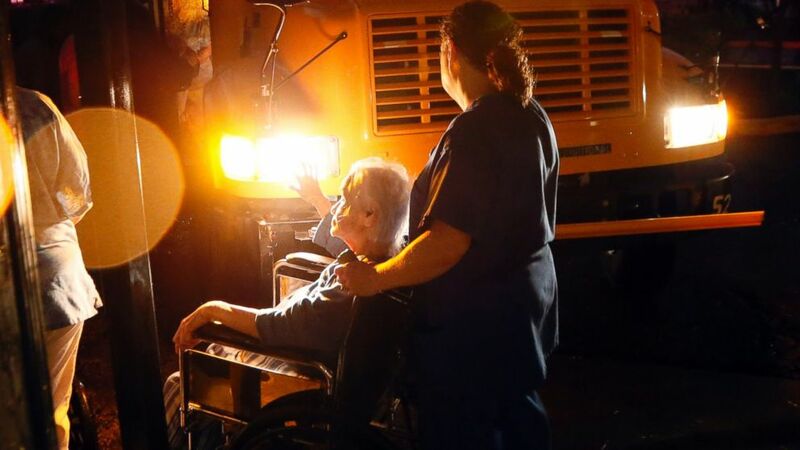 (Rogelio V. Solis/AP Photo) Nursing home personnel assist a resident as she is wheeled to a waiting bus outside a Louisville, Miss., nursing home, April 28, 2014 after the facility and the Winston Medical Center next door were heavily damaged by a tornado. 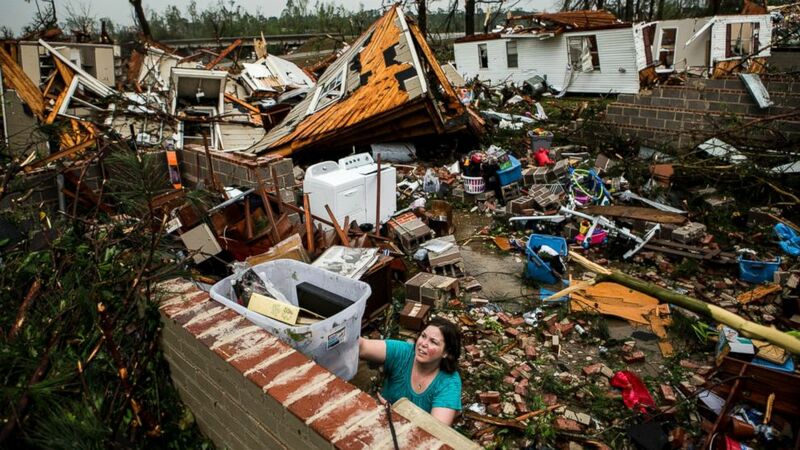 In Richland, a 6,000-population town in central Mississippi, homes were destroyed and vehicles were strewn about. An SUV in Four Corners, Miss. was flipped on its side. (Rogelio V. Solis/AP Photo) A resident rushes past an SUV that was tossed by a tornado in Four Corners, Miss., April 28, 2014. Residents tried to clean up, searching the wreckage for heirlooms. (Brad Vest/The Commercial Appeal/AP Photo) Jodi Walls pushes a box of belongings out of a friend's house while cleaning up after a large tornado tore through Tupelo, Miss., April 28, 2014. Animals were another concern. 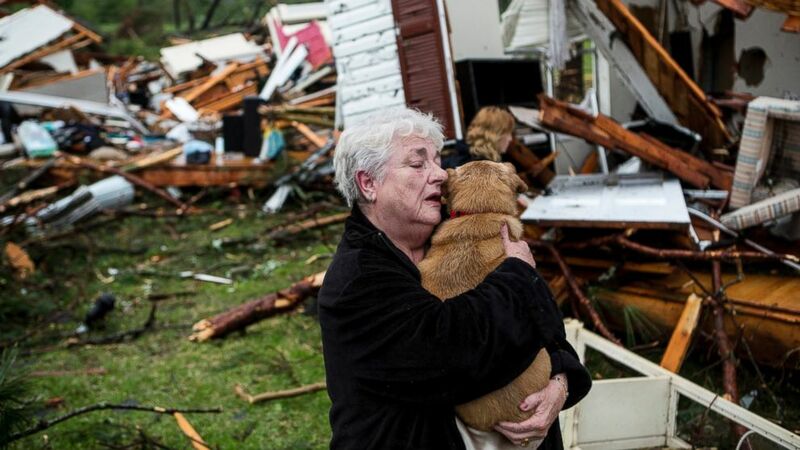 Constance Lambert was away from her Tupelo home when the tornado struck – but she raced back to check on her pets. (Brad Vest/The Commercial Appeal/AP Photo) Constance Lambert embraces her dog after finding it alive when returning to her destroyed home in Tupelo, Miss., April 28, 2014. While the threat of tornadoes still looms across the region, Tupelo’s sky reflected calm following the deadly storm.